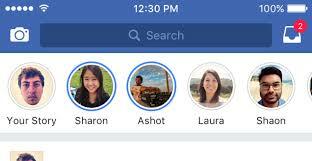 Facebook Stories received quite the revamp yesterday. According to theverge.com, it was joined with Messenger Day . But Facebook also got rid of Direct, an short-lived messaging feature. Now, the feature will be synced across both platforms. Facebook is also killing private short-lived messaging feature Direct. Going forward, all replies to it as well as Facebook Camera messages will be directed through Messenger. Although, while Facebook is streamlining many sides of it, there is one thing it is adding: collaborative the same feature for events. This new feature will allow users to collectively contribute to one Story for an event (like a birthday party or festival), with submissions moderated by the event’s admins.